TOUGH ROOKIE!!! 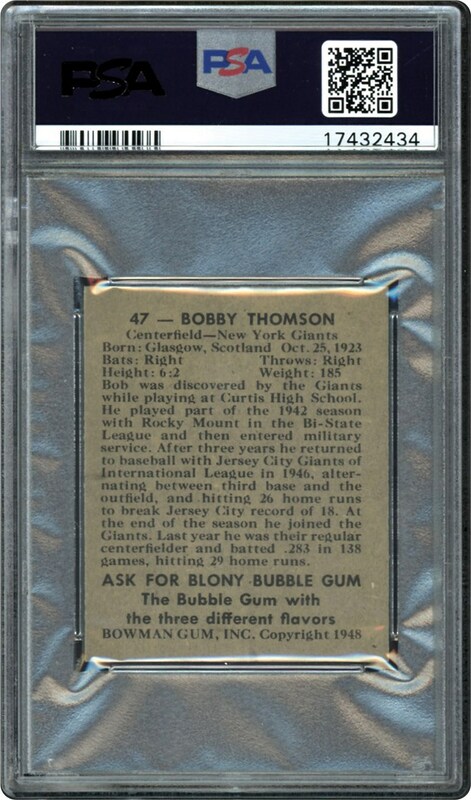 A beautiful example of this small B&W card from 1948 of Bobby Thomson. 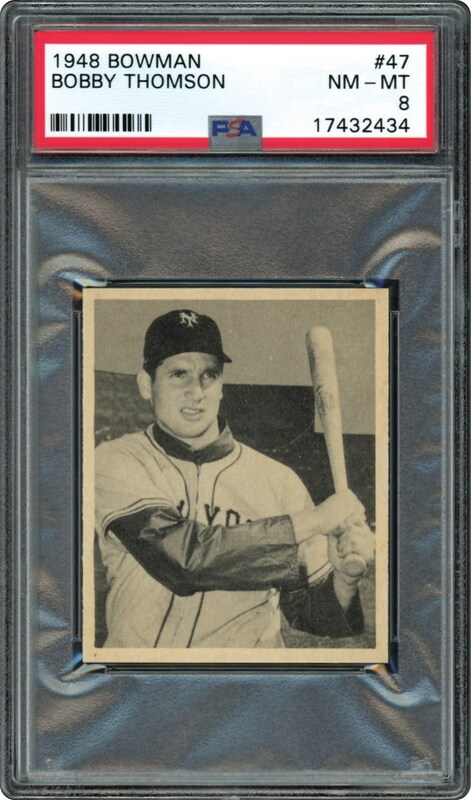 Only 6 cards have ever graded higher. Great Find.